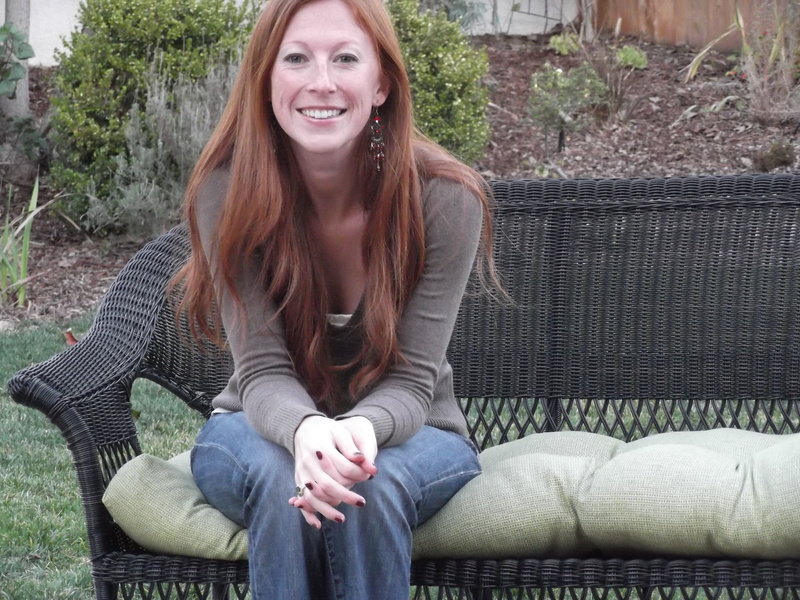 As new locals to Petaluma, my husband and I have been trying to explore as much of our new surroundings as possible. It is truly an amazing experience to move from Kansas City to California, and every weekend we find something new and fun to “research.” Sometimes it’s a vineyard in the wine country, or a beach in Point Reyes National Park. 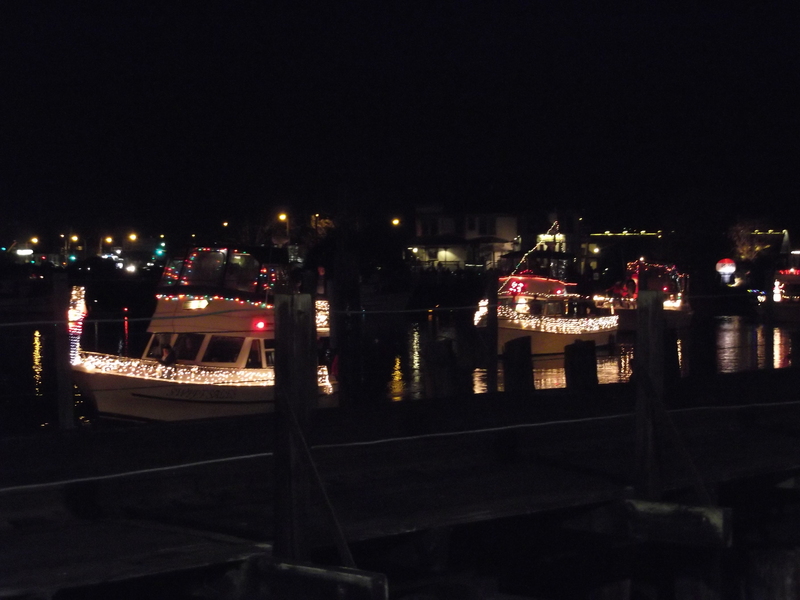 This past weekend we decided to explore Petaluma’s “old town” (downtown), where we watched to annual Petaluma Lighted Boats on the river. The boats were supposed to come up the river and into the turning basin (which is basically located in the middle of downtown) around 6:00 or 6:30pm on Saturday. We thought we would go downtown around 5:00pm, walk around a little bit, visit my new favorite furniture store, Roe & Co., and then wander over to the river walk to see the boats. Little did we know, it was going to be packed! We barely found a parking spot, and when we made our way to the river walk, we were fighting for a space to actually see the river. There must have been several thousand people wandering around. It was amazing! 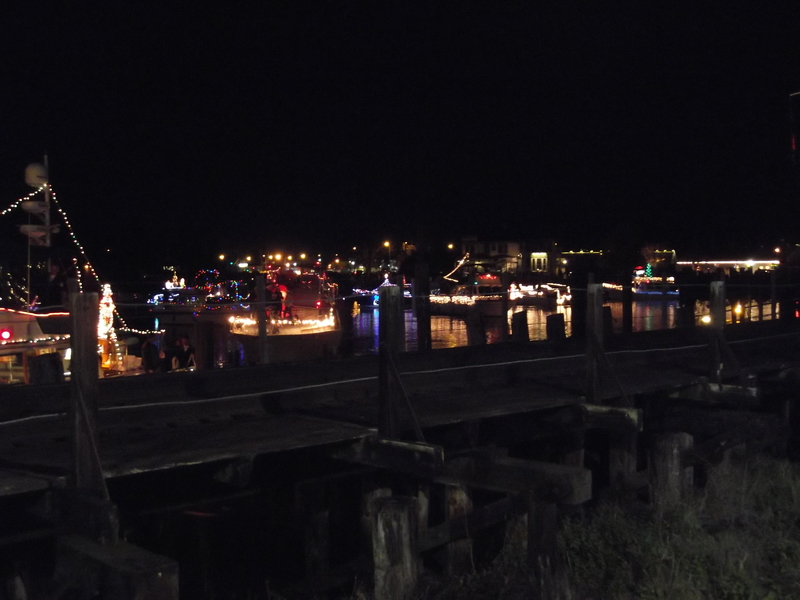 Our next adventure will be to take the driving tour of Petaluma’s Lighted Houses and Businesses. I have to say, for a community without snow, Petaluma sure knows how to reign in the holiday spirit. It’s a wonderful place to be for our first Christmas season away from our hometown. 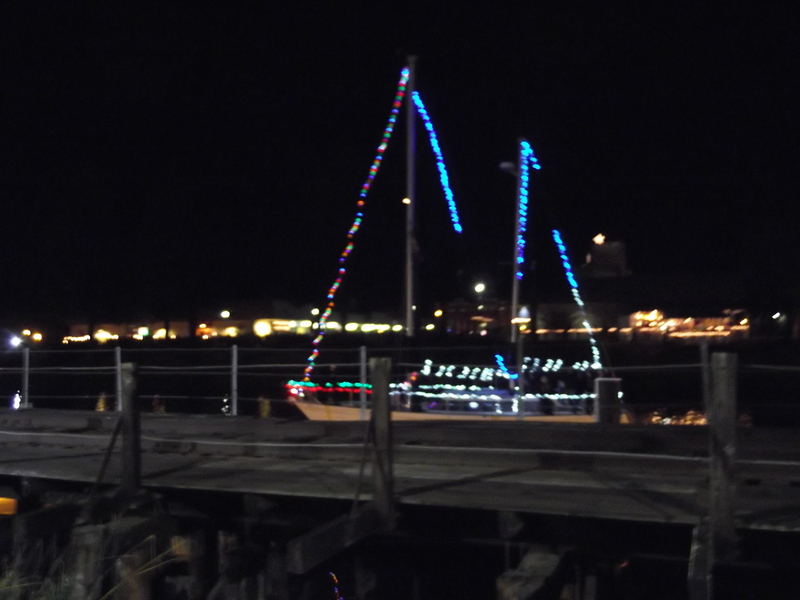 This entry was posted in California and tagged community, Just For Kicks, Lighted Boats, Petaluma. Bookmark the permalink. Lovely! I’ve been kind of nostalgic about seaside living recently, so it tickles me that you get to do that. Enjoy!